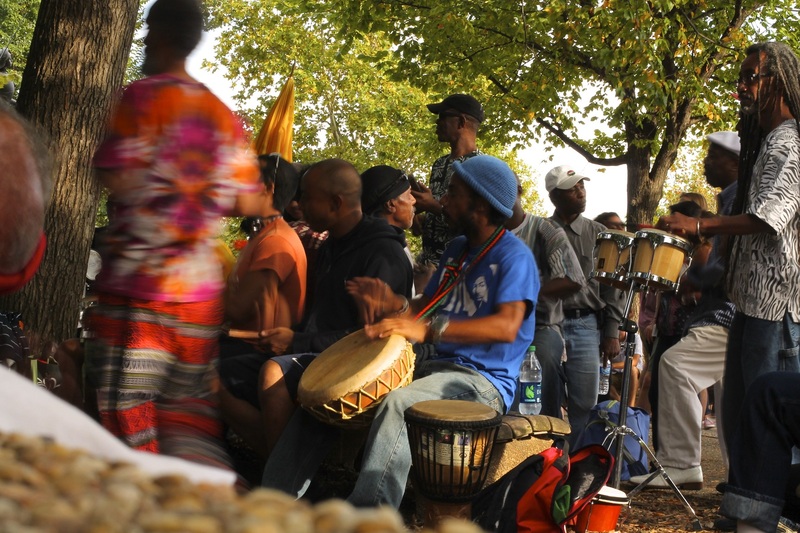 I stumbled upon a drum circle in Washington, D.C.’s Meridian Park. The blur of fabric and beats turned a normal afternoon into a music and dance party. We’re glad to see this. When we lived there thirty years ago, Meridian Park was a place to be avoided.